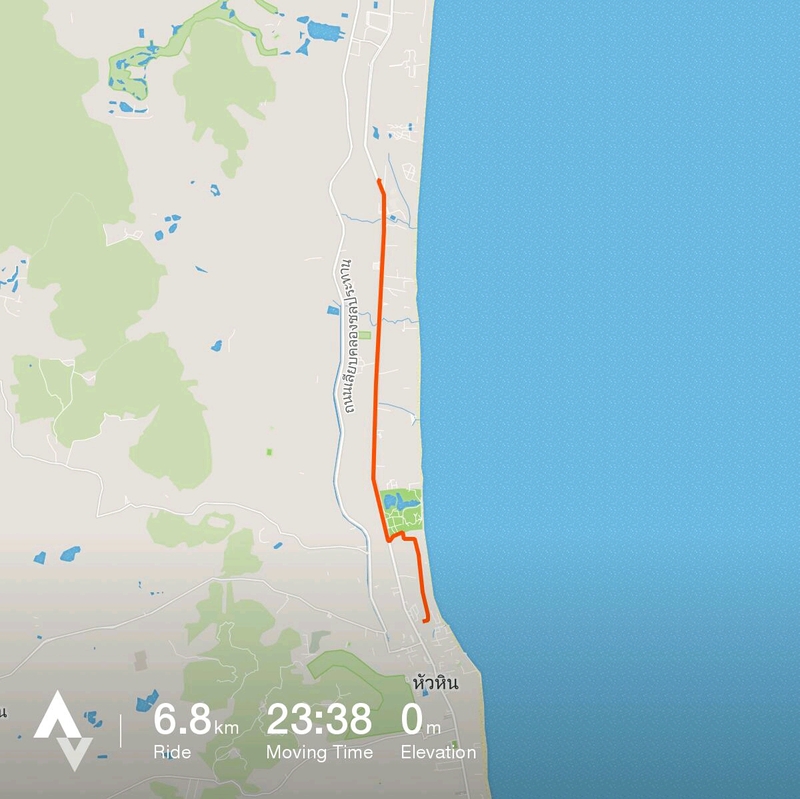 Two short bicycle rides between a long bus ride from Hua Hin to Pattaya. It is our first time travelling with the tandems. 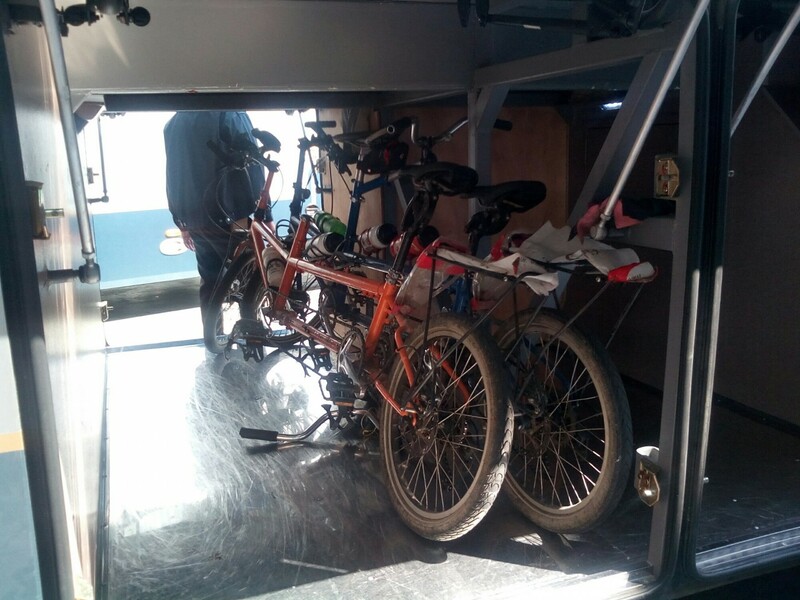 At first I don’t think the bus people thought it would fit, but with the help of an Allen key the tandems fitted in perfectly. 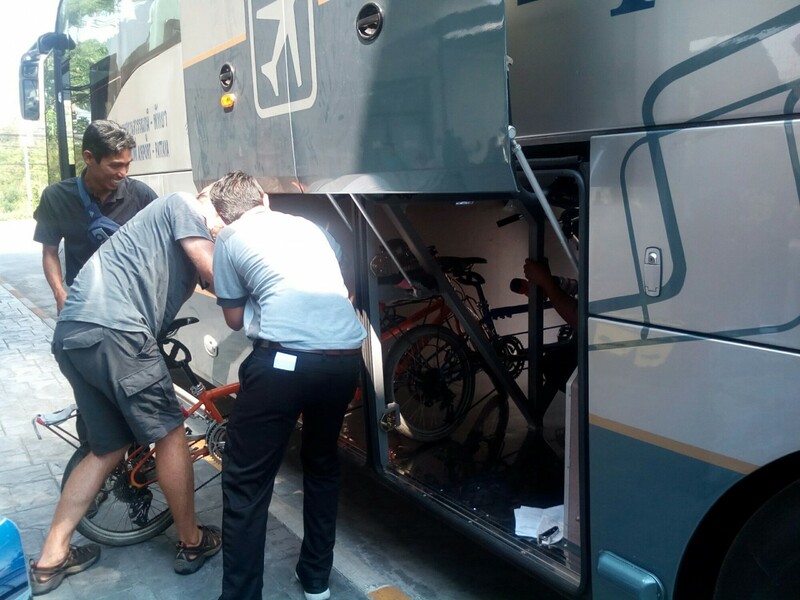 We originally thought we would take the new ferry to Pattaya, but they don’t allow bicycles unless they are packed up like luggage. Also, the bus was half the price and was not weather dependent. The bus ride was long, but very comfortable. As you can see below the chairs reclined back a long way and we all caught up on some sleep. 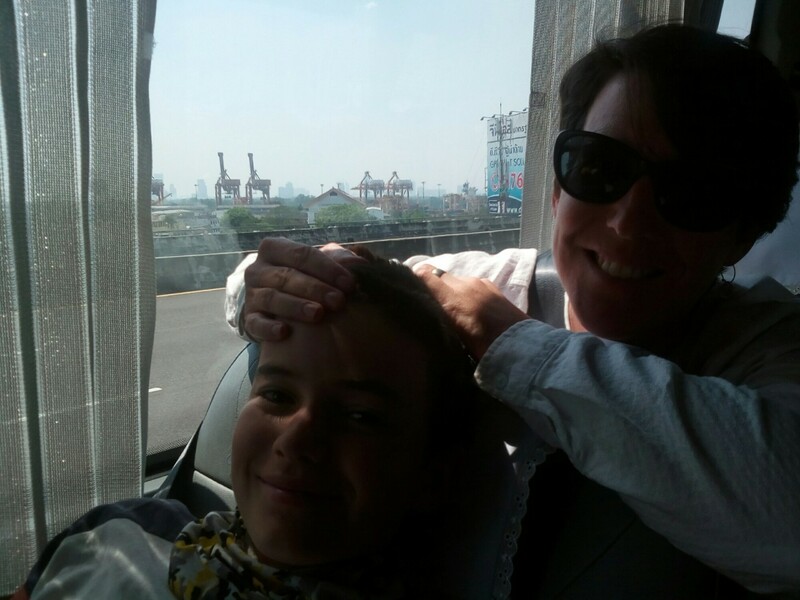 The bus route takes you close to Bangkok and gave some spectacular views of the city from the top of bridges. 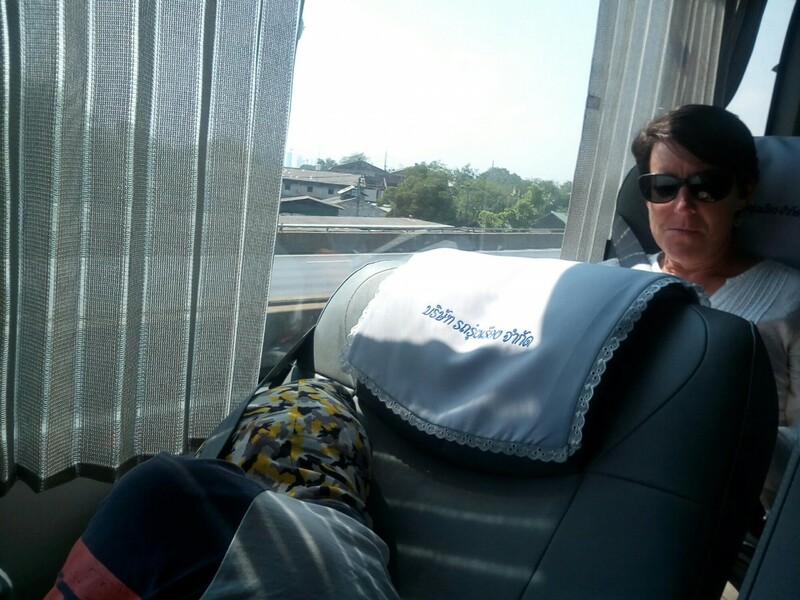 We were all glade to bypass Bangkok because it is a massive city and the traffic all the way to Pattaya was heavy. Looks comfy and relaxing. What a good bypass. Do you have extended visas? Found the answer by retracting my emails. Now back to my book Tim Cope riding by horse across Mongolia to Hungary. Your book title? Yes, we extended our visas a month. Not a cheap or quick thing to do. Took a couple of hours and cost about $75AUD each ($300 in total). With hindsight we could have avoided that, but we wanted to stay in Thailand longer than we originally thought. I am not good with titles, but we could open it up to all the people passing by or someone who is an editor. Maybe, “Tandem Touring: Family takes on SE Asia” is a starting point. What is your title?